I have to admit, I have an addiction to having a ‘just back from holiday’ glow, and, since the age of 15 when I first really started using facial tanners, I must have tried hundreds of options from budget to blowout. 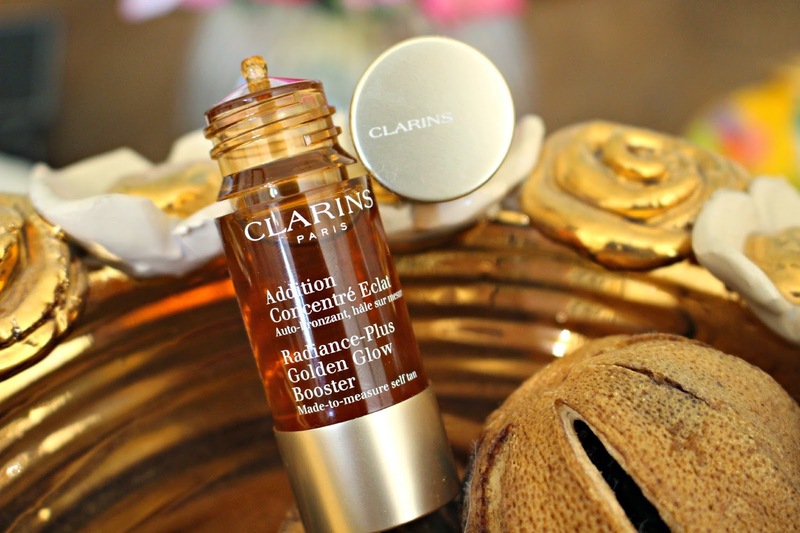 They all seem to blur into one, but then I heard about the Clarins Radiance – Plus Golden Glow Booster. This glow-inducing tiny bottle is quite different from the rest in that it is super easy to fit into your daily routine as you simply add a couple of drops to your moisturiser. You can add two or three drops to your daily moisturiser or serum to deliver a sun-kissed tint to your complexion, and the glow that it gives results in the most natural looking tan than I’ve ever found from anything from a bottle. For paler complexions, the product will add a subtle warmth to your skin, and if your skin is already a little tanned then 3 drops every other day (as I do) results in a glow that’s usually reserved for 3 days in the sun. One thing that puts most people of facial tanners is the smell – and fortunately the Clarins doesn’t have a pungent fragrance, even if it does it is very much masked by your moisturiser or serum. It doesn’t even change the way that your moisturiser goes on, it’s almost undetectable, so if you have a daily-routine that you never alter from, then you can still build a tan with this product. So you use 3 drops to build colour, and 2 drops to maintain – because it is so gradual there are no orange patchy scares, or any build up around the brows and hairline. So even if you have porcelain complexion, there is nothing to loose with the Clarins Radiance Plus, it’s just so easy to use! What’s your favourite tanning product?